Under the leadership of Dave Schwartz VA3DGS Field Day 1998 has come and gone with many memories of great weather and fellowship as KWARC participated in the annual ARRL Field Day contest. 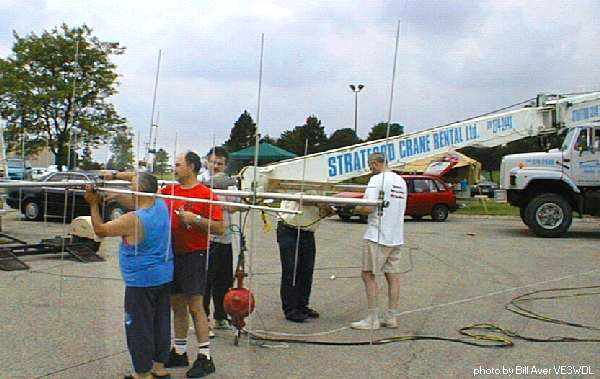 Many thanks go out to Ron and Stratford Crane Rentals who provided as with a 100 foot platform on which to mount our VHF antennas and also to tie off the dipoles for 160, 40 and 20 metres.... Bell Canada for the loan of several Honda generators, Bill VE3WDL and Dave VE3RBA for the kind loan of their motor homes to house the 40 and 20 metre stations, Dave VE3PMT and M&M Meats for the wonderful hamburger and hot dogs that we enjoyed. And last but certainly not least a big thank you once again to Hubbie and Eileen Stumpf for the huge pot of chili that they provide each year. All of the following photos (by Bill VE3WDL) may be clicked to view full screen. Use your back button to return here. More photos will be posted as they become available so come back often. 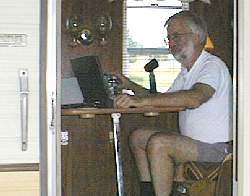 As mentioned above, Walter VE3NEI and Dave VE3RBA pounded brass on 20 metre CW this year. Walter (left) is shown here with Robert Johnson VE3RXJ. Walter looks forward to doing this again next year. 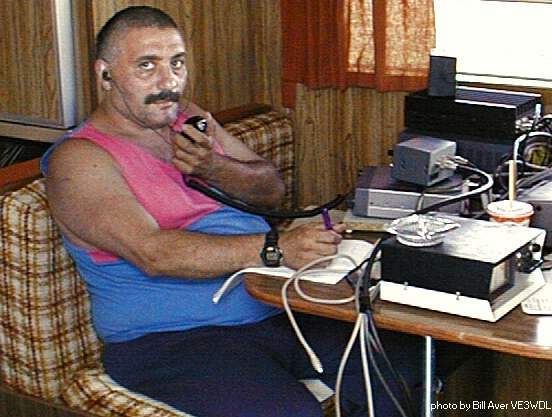 Paul VA3VCI is shown here filling in on 40 SSB. 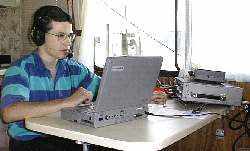 Paul has participated in the last 4 KWARC field days and is our youngest member. 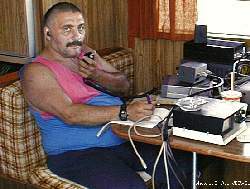 He successfully passed his CW endorsement last year. 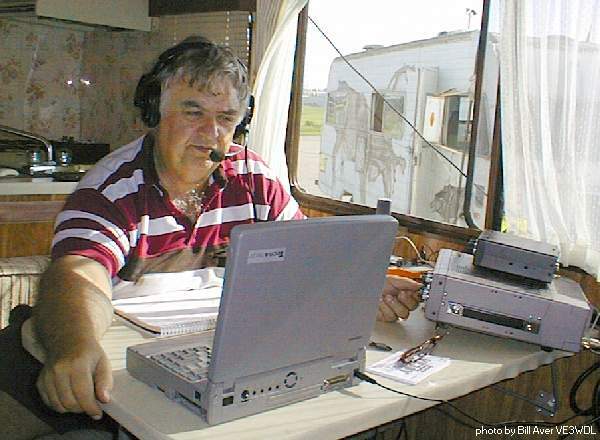 Each year Dave Knight VE3PMT and Paul VA3VCI, operate 80 SSB. 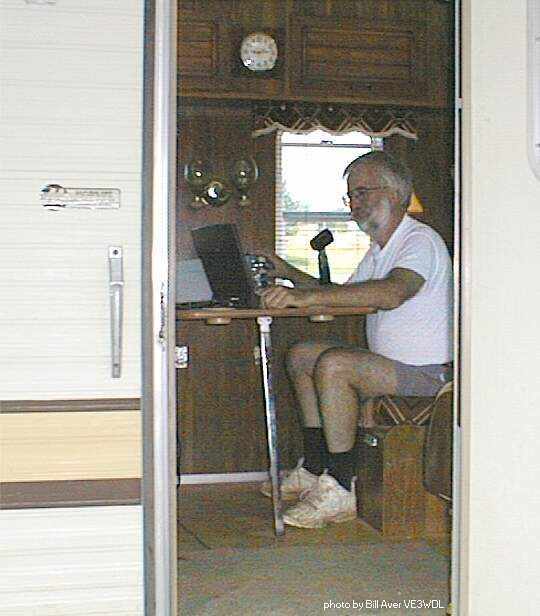 This year was no different and Dave is shown here through the door of his motor home which housed the 80 SSB station. 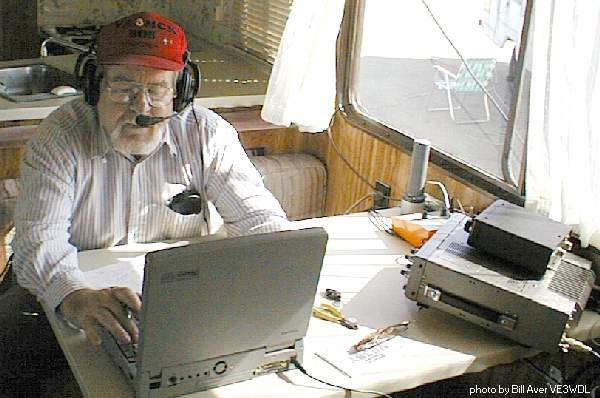 For the first time that anyone can recall, KWARC operated a station on 160 metres. John VE3VRA and Gord VE3EOS braved poor conditions but stuck glued to the speaker for 24 hours searching and pouncing on all 30 CW and SSB stations that were heard. 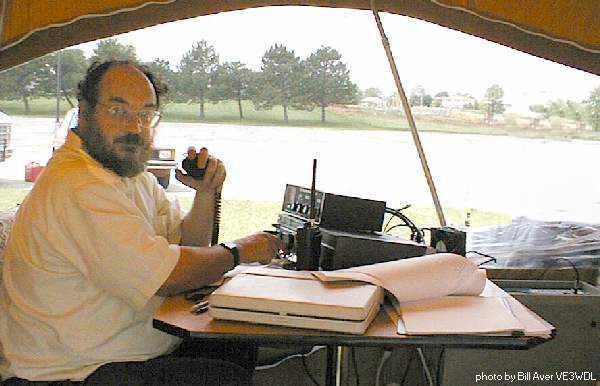 Club President, Paul Cassel VE3SY, once again took 40 phone at this years Field Day. 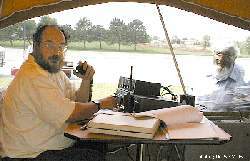 Paul was assisted by Bob VA3MCK and Paul VA3VCI. 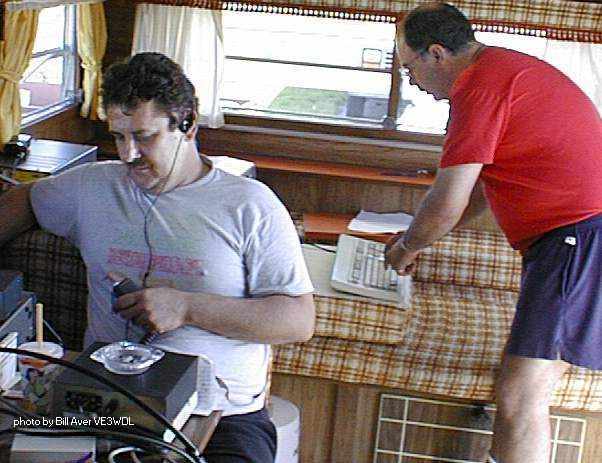 Mark VE3THG and Tedd VE3TJD operated 6 and 2 metre SSB along with Andy VE3SXK. 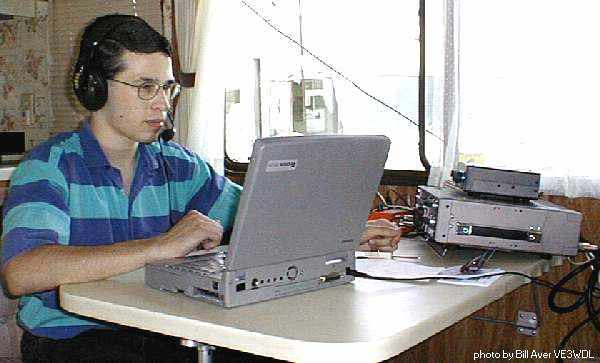 During the contest Tedd's notebook crashed forcing them to use an older full size computer for logging. 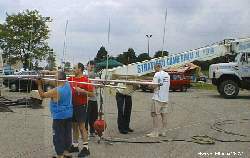 Mark is shown here entering contacts being made by Tedd on 6 metres which was wide open most of the weekend. Two metre SSB was operated by Andy VE3SXK along with VE3THG and VE3TJD. Since there was no real opening on 2m over the weekend most emphasis was placed on 6 metres. At the risk of leaving someone out our many thanks to all of the other KWARC members who assisted us during the weekend.